I, N.N., declare with a firm faith that I believe and profess each and all the articles that are contained in the Apostles' Creed, that is: I believe in God, the Father Almighty, Creator of Heaven and Earth; and in Jesus Christ, His only Son, our Lord, Who was conceived by the Holy Ghost, born of the Virgin Mary, suffered under Pontius Pilate, was crucified, died and was buried; He descended into Hell, the third day He rose again from the dead; He ascended into Heaven and sitteth at the right hand of God, the Father Almighty; from thence He will come to judge the living and the dead. I believe in the Holy Ghost; the Holy Catholic Church; the communion of Saints; the forgiveness of sins; the resurrection of the body, and life everlasting. Amen. I admit and embrace most firmly the apostolic and ecclesiastical traditions and all the other constitutions and prescriptions of the Church. I admit the sacred Scriptures according to the sense which has been held and which is still held by Holy Mother Church, whose duty it is to judge the true sense and interpretation of the Sacred Scriptures, and I shall never accept or interpret them except according to the unanimous consent of the Fathers. I profess that the Sacraments of the New Law are, truly and precisely seven in number, instituted for the salvation of mankind, though all are not necessary for each individual: Baptism, Confirmation, Eucharist, Penance, Extreme Unction, Holy Orders and Matrimony. I profess that all confer grace and that of these Baptism, Confirmation and Holy Orders cannot be repeated without sacrilege. I also accept and admit the ritual of the Catholic Church in the solemn administration of al] the above mentioned Sacraments. I accept and hold, in each and every part, all that has been defined and declared by the Sacred Council of Trent concerning Original Sin and Justification. I profess that in the Mass is offered to God a true, real and propitiatory sacrifice for the living and the dead; that in the Holy Sacrament of the Eucharist is really, truly and substantially the Body and Blood together with the Soul and Divinity of Our Lord Jesus Christ, and that there takes place what the Church calls transubstantiation, that is the change of all the substance of bread into the Body and of all substance of wine into the Blood. I confess also that in receiving under either of these species one receives Jesus Christ, whole and entire. I firmly hold that Purgatory exists and that the souls detained there can be helped by the prayers of the faithful. Likewise I hold that the Saints, who reign with Jesus Christ, should be venerated and invoked, that they offer prayers to God for us and that their relics are to be venerated. 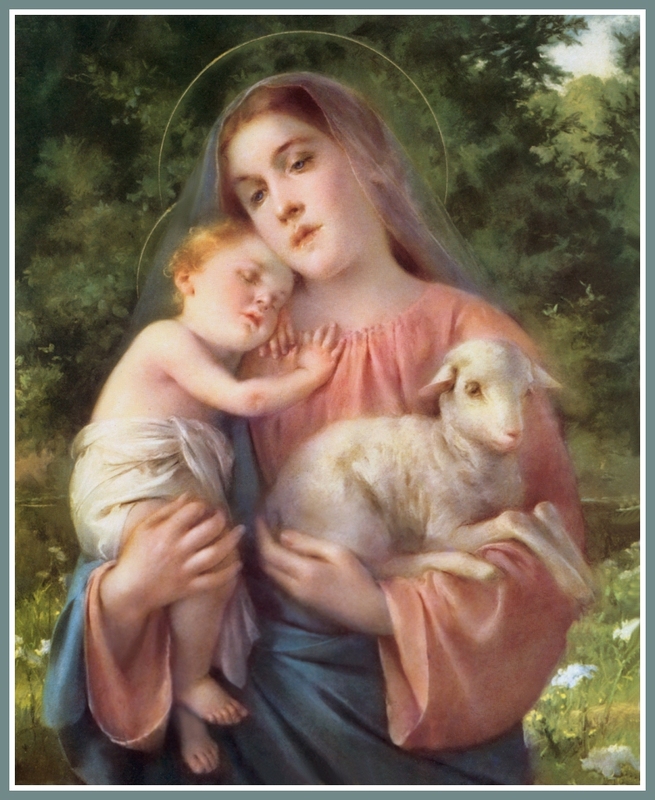 I profess firmly that the images of Jesus Christ and of the Mother of God, ever Virgin, as well as of all the Saints should be given due honor and veneration. I also affirm that Jesus Christ left to the Church the faculty to grant Indulgences and that their use is most salutary to the Christian people. I recognize the Holy Roman, Catholic and Apostolic Church as the mother and teacher of all the Churches and I promise and swear true obedience to the Roman Pontiff, successor of St. Peter, Prince of the Apostles, and Vicar of Jesus Christ. Besides I accept, without hesitation, and profess all that has been handed down, defined and declared by the Sacred Canons and by the general Councils, especially by the Sacred Council of Trent and by the Vatican General Council, and in a special manner concerning the primacy and infallibility of the Roman Pontiff. At the same time I condemn and reprove all that the Church has condemned and reproved. This same Catholic Faith, outside of which nobody can be saved, which I now freely profess and to which I truly adhere, the same I promise and swear to maintain and profess, with the help of God, entire, inviolate and with firm constancy until the last breath of life; and I shall strive, as far as possible, that this same faith shall be held, taught and publicly professed by all those who depend on me and by those of whom I shall have charge.